These are perfect to use for Valentine's Day treats or consider using these to fill Easter eggs and baskets! 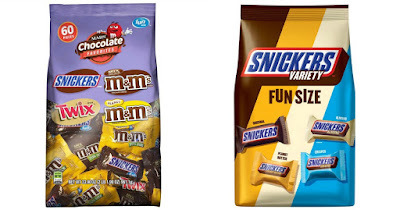 HURRY over to Amazon where you can score this Mars Chocolate Favorites Variety Mix 33.9oz Bag for just $6.01 shipped when you clip the 15% off digital coupon and opt to Subscribe and Save! As another option, when you clip the 15% off digital coupon and opt to Subscribe and Save you can score this Snickers Fun Size Variety Mix 35.09oz Bag for just $6 shipped!